Captain Fawcett Private Stock Beard Oil 50ml. 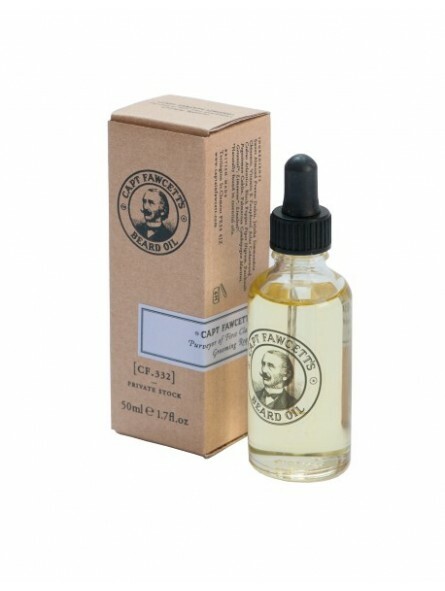 Captain Fawcett’s (CF.332) Private Stock Beard Oil is a delectable blend of fragrant essential oils fused with Sweet Almond, Jojoba & Vitamin E base oils. Used daily this elegantly scented balance of Cedarwood, Black Pepper, Patchouli & Palmarosa essential oils will soothe, moisturise and invigorate both skin & facial hair.